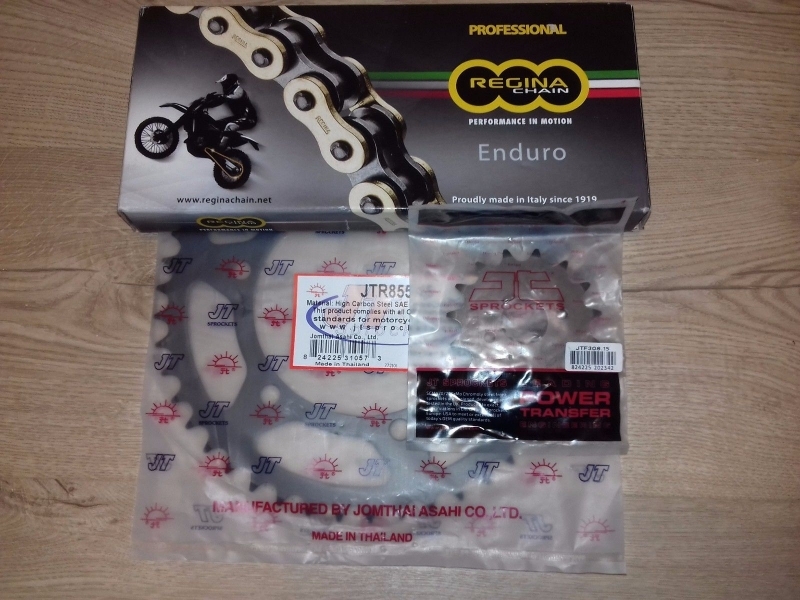 Will also fit most common MX, Enduro, Trail and trials bikes using a 520 pitch chain. 1 x Regina ZRE O'ring 520x118 link gold chain with split link. The choice of champions: with over 300 world titles to their name, Regina are the number #1 choice for many race teams across the world. Regina's ZRE-Z RING chain is of the latest generation O Ring characterized by new and better performing O'rings. 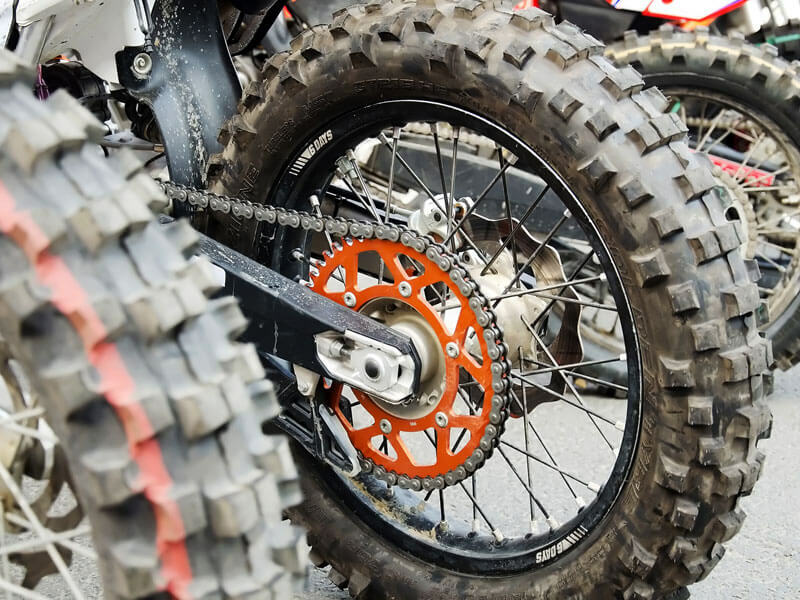 Light and strong, these sealed chains are engineered to meet the demands of each motorcycle application, providing long life in all conditions seen by road and off road riders. Features include gold outer plates, high carbon alloy pins, solid bushing, shot-pined plates and rollers. All O'ring chains are submitted to performance enhancing pre-stretching. Regina Z O'ring chains offer a huge improvement in wear compared to standard heavy duty type chains.